 Coffey Marketing and Creative is a full-service agency with solutions for all of your marketing, branding, and creative needs. Your brand is the face of your company. It is more than just your name and logo, it is the story and persona you use to connect with your potential customers. We can help you create a brand, refresh your existing brand, create design continuity with your communications, and more! In today’s digital world, no one can afford to not have a thoughtfully executed and creative online presence that will out perform the competition. We can create a new website, build your social media presence, ensure your website is ranking, and develop digital campaigns custom to your company’s needs. Creating a marketing plan, developing a multi-platform campaign, marketing your product, managing media outlets – it’s what we do. Let us be your Marketing Director without the added long-term expense of an on-staff employee. Working with Nicole and Coffey Marketing and Creative was stress free and fun! Whenever I had a request, she got it done exceptionally fast. She took my concepts and created a project that exceeded my expectations. I am really looking forward to working with her in the future! I have enjoyed working with Nicole since 2007. Her attention to detail and professionalism are second to none. Over the years, we have worked on books, brochures, packaging, and even e-commerce. She is always willing to take that extra step to make sure the project is perfect. As a fully integrated marketing and creative services agency, we know how to bring all the elements together to build your brand, and get the sales you need. In addition to that, our work is proven to be successful in the technical, conceptual, and content development areas, across a full-range of media types. From traditional to digital marketing awareness, our company is effective in every aspect of running a business. You’ll find our responses to your needs to be both timely and extremely professional. Another key benefit is the fact that we are a full-service company, meaning you won’t have to use multiple contractors, or businesses, to manage your various online efforts. Everything you need; all in one central location.